Students, it is a tragic day in University history. 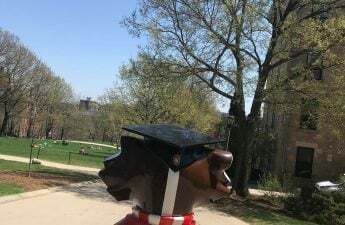 Buckingham U. Badger, our beloved mascot since the schools founding in 1848, has announced his retirement from his foolish ways. Badger cited exhaustion from years of high fives and stealing freshman’s couches on move-in day as the reason for his decision. When asked what was next for him, Bucky expressed interest in settling down and starting a family. We wish him the best on his continuing journey. Currently, the university is faced with the challenge of finding a new mascot. There are many options coming from different directions, including a proposal from the University of Minnesota to join forces so UW could get a new mascot and so they could finally have a decent football team. 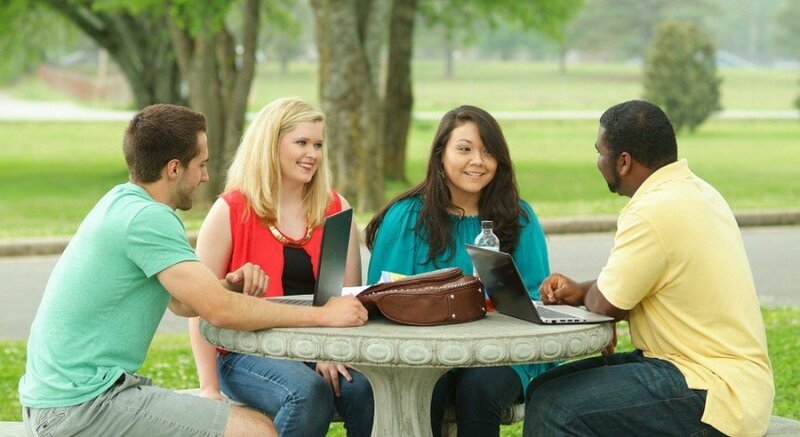 Alas, none of them felt like they fit the university’s current needs. Out of a humble trash can in The Badger Herald’s office kitchen, an answer to the administration’s prayers put his hat into the ring: Rusty Raccoon. The raccoon has spent years running away from drunk college students who mistook him for an off-brand Bucky on game days. In his hiring conversation, Rusty expressed excitement at finally being recognized for himself rather than receiving disgruntled looks when Bucky fans ultimately realize they are not talking to Bucky himself, but a strange look-a-like. Rusty hopes to introduce a new type of college student section to the UW-Madison campus. 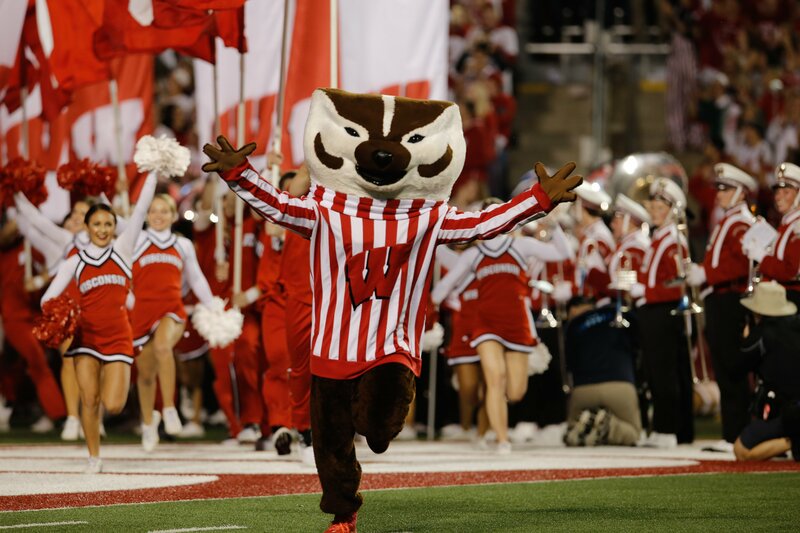 Unlike Bucky, Rusty does not see the need for a mascot’s childish antics during games. Rusty also suggested that if students were quieter at the game more patrons would be able to hear. He cites this idea from his friend Goldy Gopher. “He mentioned if the students don’t show up to the game, it’s a much quieter stadium,” Raccoon said. But some in the administration wonder if Rusty brings too many ideas to the table to be a good addition to the team, including his suggestion that since his name is Rusty we change the school colors from red and white to rust and red. Despite this, the university seems to have decided on Mr. Raccoon and enters this new era with excitement. 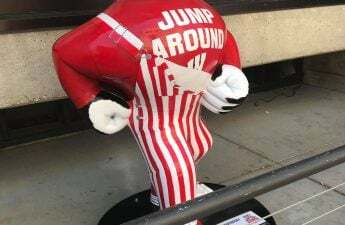 In the coming weeks, there will be a goodbye party for Bucky, which Rusty refuses to attend, and new chants taught to incorporate the new mascot. Let’s go raccoons!